This report provides a detailed review of the taxation of household savings in 40 OECD and partner countries. It examines the different approaches that countries take to taxing household savings, and calculates marginal effective tax rates on a wide range of savings vehicles (including bank accounts, bonds, shares, private pensions and housing) to assess the impact of these approaches on savings behaviour. It examines asset holdings across income and wealth distributions to help assess the distributional impact of savings taxation, and discusses recent changes in the exchange of information for tax purposes between tax administrations. It also draws out a range of implications from this analysis for savings tax policy as part of an inclusive growth tax agenda. Taxes are among the most effective tools governments have for reducing inequalities and bringing about more inclusive growth. 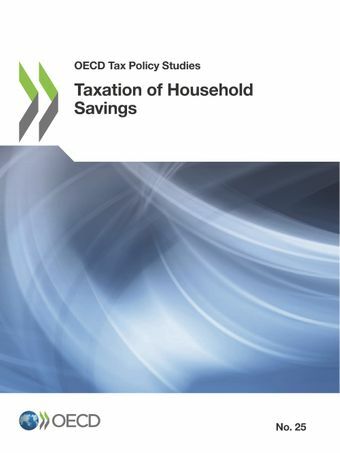 Two new OECD reports – Taxation of Household Savings and The Role and Design of Net Wealth Taxes - assess how governments are using the taxation of personal savings and wealth and offer recommendations for more effective and more efficient tax policy. OECD’s head of Tax Policy and Statistics David Bradbury, Senior Tax Economist Alastair Thomas and Tax Economist Sarah Perret discussed the key findings and answered questions in a live webinar on 12 April 2018.